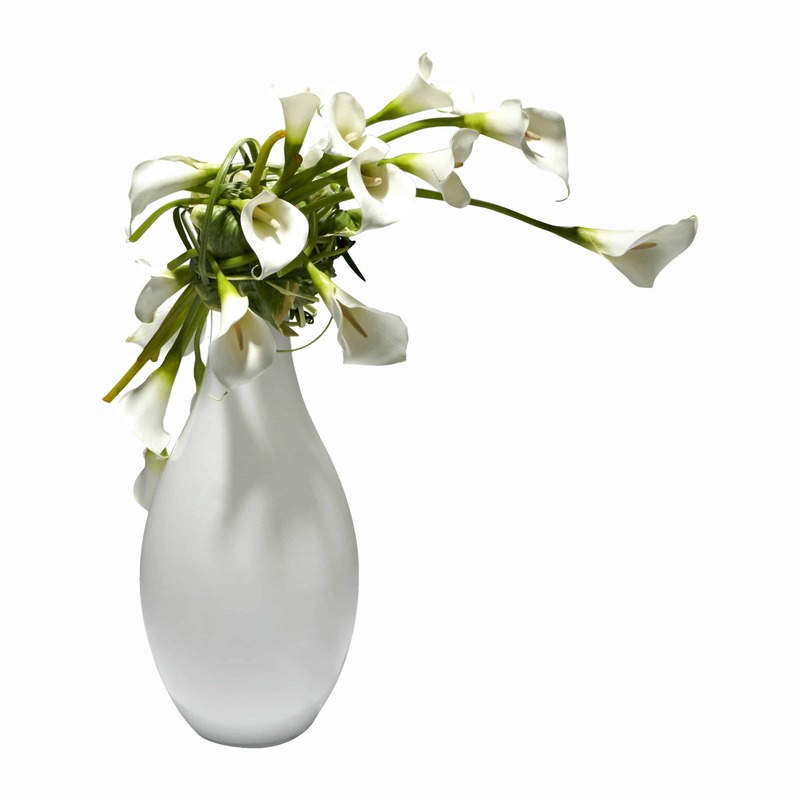 Designed using our specially selected white large artificial orchid, each head has meticulous detailing including the pollen created to reflect the beauty of nature. 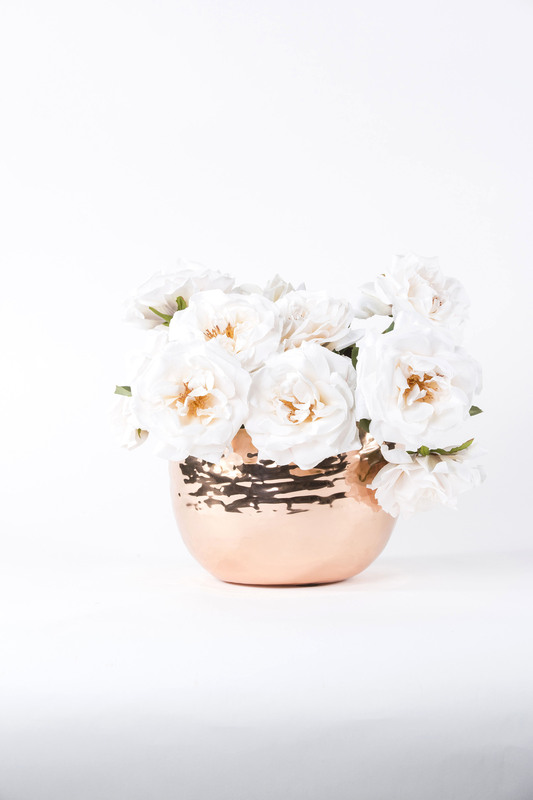 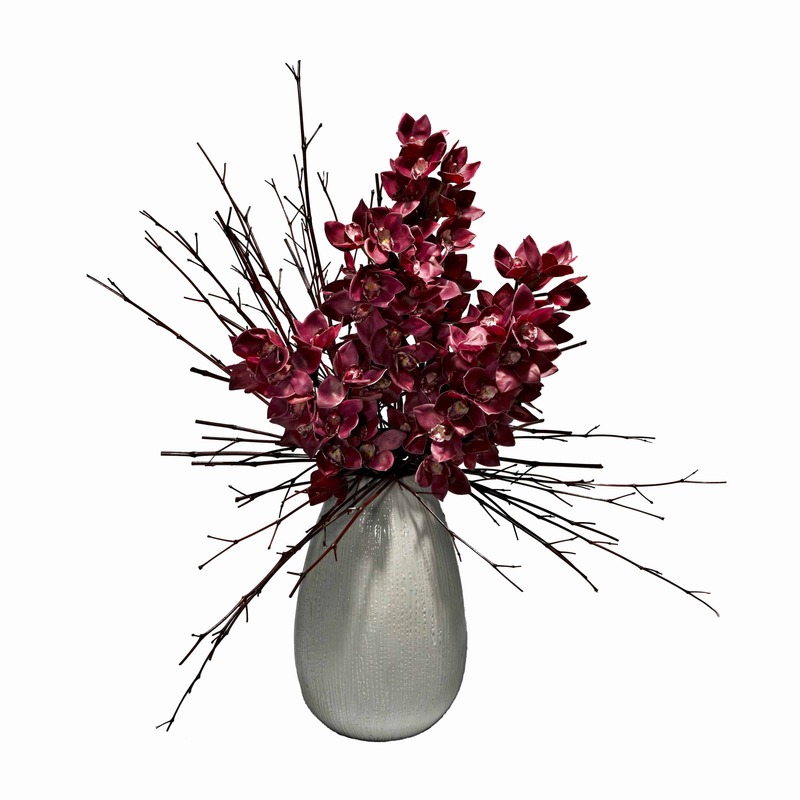 Contrasted by the modern metallic pot, we added orchid leaves including the roots to bring together nature and the city. 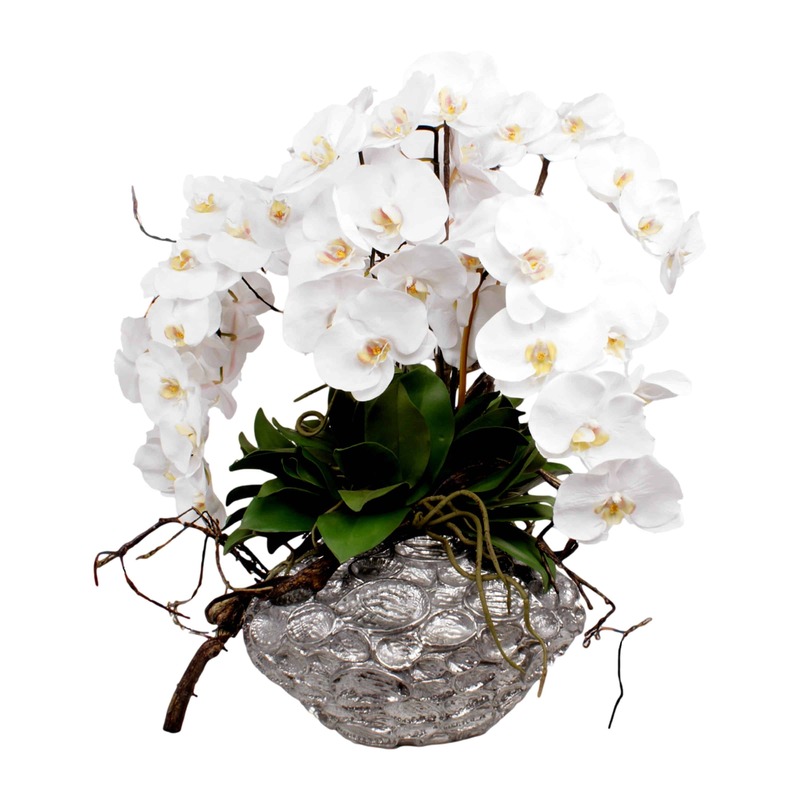 Orchids are ever popular and none more so than this flawless white phalaenopsis, for which we've received countless compliments. 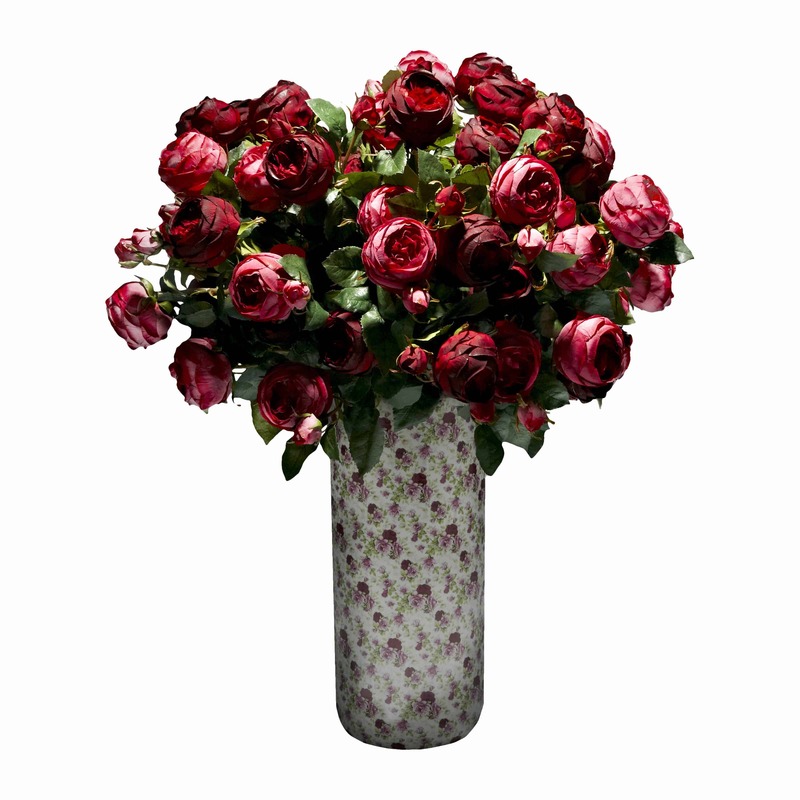 As it is everlasting and upkeep free you can take pleasure in its elegant beauty for years to come.